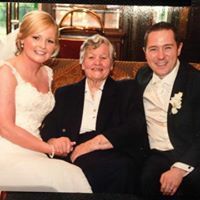 "I had my wedding reception in Kilronan in July 2009 and went for a pre-wedding spa day with my mother. The level of professionalism from the staff and the range of spa treatments were the best that I have ever experienced and all at very reasonable prices. I would highly recommend the Spa at Kilronan, and have been back there since our wedding and I’m glad to say that the level of service is still exceptional, if I didn’t live so far away from the hotel now I would be back there every few weeks to indulge in some treatments! Keep up the good work. " "Myself and a friend decided to treat ourselves and go to a spa for the day, I have been told about Kilronan Castle as a hotel so decided to try their spa. 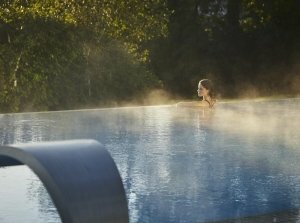 From the minute we walked in the staff could not do enough for us, we booked the full day package which included lunch, this was amazing value for money, €99 each for 2 treatments, lunch and use of the pools and relaxation areas. I will be telling all of my friends about it and will be going back very soon"
Buy Gift Vouchers for The SPA at Kilronan Castle and other top spas across Ireland.